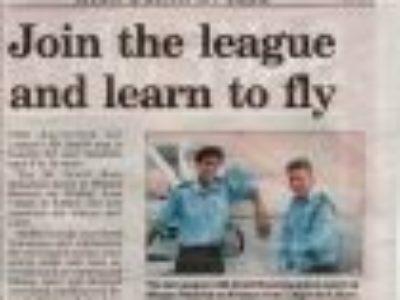 The Australian Air League’s Mt Druitt Squadron is looking for new members aged 8 to 18 years. 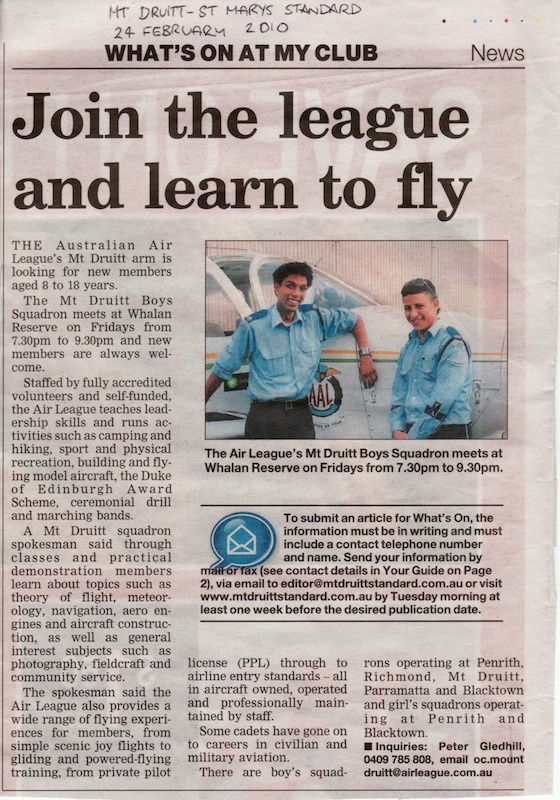 The Mt Druitt Boys Squadron meets at Whalan Reserve on Fridays from 7.30pm to 9.30pm and new members are always welcome. Inquiries can be directed to Peter Gledhill, phone 0409 785 808.